Amanda Hampson recalls her personal journey through reading, journalism and writing fiction. Reading and writing have always been a pleasure for me. 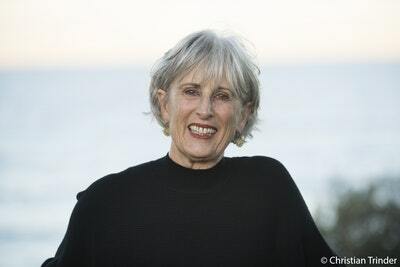 I grew up on a dairy farm in the back-blocks of New Zealand but my mother had a love of literature and classical music, so books and music were a part of our lives. My father is British, from Liverpool, and like many Northerners, a natural story-teller. I was considered the unreliable narrator in my family, prone to embellishment – my siblings are still a little sceptical about my version of any incident – so perhaps there were early signs of my vocation there. In high school, I had an English teacher who was the published author of a slim volume of short stories. He was a crusty old chap with a dry sense of humour and was the only teacher who had my undivided attention. One day in class, he read aloud a short story by the American humourist, James Thurber. I was absolutely enthralled by the style and the wit of Thurber’s writing and was weeping with laughter. When the story finished, I looked around to discover the rest of the class were unimpressed, wondering what was wrong with me. And I realised that none of them recognised the brilliance in Thurber’s work; that what fascinated me simply bored them. It was a revelation that I was on a different path, and I yearned to be able to achieve that effect with words on the page. Although I didn’t finish high school, my ambition to be a writer never dimmed and I embarked on a lifelong apprenticeship in reading that continues today. From my teen years onwards, I read widely, from crime to the European classics and particularly American and British 20th century literature. In my twenties I began to write short stories, back then many magazines published short stories but I had limited success. A simpler way to publication was writing spec articles about subjects I was interested in and submitting them to magazines. I had a number of articles published, worked with editors, and began to hone my writing skills. Success in that area gave me the confidence to write my first non-fiction book, Battles with the Baby Gods, which was accepted for publication by Transworld. Following that I found the transition from non-fiction to fiction difficult. Once you find the subject matter and structure, writing a non-fiction book is not necessarily that difficult because the material exists. Fiction, to me, is so much tougher for the obvious reason that you have to make everything up and make it believable – not to mention enthralling, entertaining, moving, and satisfying to the reader. Writing a novel was always my true ambition, everything else was a warm-up for the big event, but the more time that passed, the more intimidating it became. In my forties, juggling work and two small children, life was busy and full of distractions, but it became clear to me that I was running out of time. If I didn’t do this, I would be truly disappointed in myself. I just had to start, and push through all resistance. I’d spent so many years getting to this point, I wanted my first novel The Olive Sisters to be the best work I could produce and really gave no thought to publication at all until it was finished. Between work and family life, I managed to find pockets of time to write. About 50,000 words into the book, I realised that I had the wrong protagonist, so I put that work aside and started again. In the second version the story flowed more easily. I asked several close friends to be muses and sent them a chapter on a deadline each month until that first draft was complete. Then the hard work really began of editing and polishing, getting feedback and reworking. My ambition was to have it finished to the standard of a published book, there was no question in my mind that was the only way to get it across the line with a publisher. When it was done, I sent it to an author I knew. He loved it and sent it to his publisher and it was accepted for publication. It was so rewarding to see it go out into readers’ hands and become a success. Having finished my first novel I hoped I would naturally be more skilled and confident as I went on to start writing my second. After my second book, Two for the Road, was published, I became very caught up writing the script for a film version of The Olive Sisters and began to worry that I’d lost the ability to be self-directed. I came up with the concept of The French Perfumer as a new take on a classic genre that would be fun for readers and fun to write. Initially the writing was incredibly difficult, and I discovered I was suffering from an auto-immune disease that was affecting my concentration, so until that was under control, it was a difficult slog. On the other side of that problem, the revision – with my brain back in gear – was a delight. 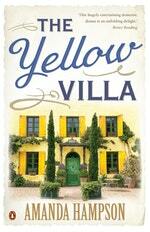 The Yellow Villa was hard and easy by turns. Every book has its own particular problems that need to be resolved, experience helps you identify the problem and work out solutions. If I could give any advice to budding writers, I would always recommend being patient with yourself – allow yourself time to write your best work. It takes a long time to develop critical skills, find your natural writing style and understand how to polish your work. Publishers are looking for books that will engage and attract a readership, so try to move the focus away from publication being recognition of you as a writer, and instead concentrate on delighting readers, then you’ll come to the work with a different mindset. 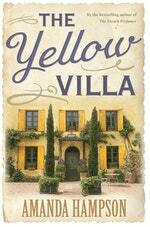 A superbly crafted domestic drama from the author of The Olive Sisters and The French Perfumer.